Libreville (AFP) - Angry protesters torched Gabon's parliament Wednesday after President Ali Bongo was declared winner of what he claimed was a "peaceful and transparent" election, but which the opposition said was fraudulent. It only took a few minutes for the announcement to sink in before several of Libreville's poorer neighbourhoods erupted in anger, with thousands of people taking to the streets to express their fury. According to official results made public shortly after 1500 GMT, Bongo won Saturday's presidential poll by just 5,594 votes, taking 49.80 percent to 48.23 percent for his rival Jean Ping, a veteran diplomat and former top African Union official. The results will remain "provisional" until they are approved by the constitutional court. By nightfall, protesters vented their fury by setting fire to the parliament building, sending skyward a plume of flame and black smoke, witnesses and AFP correspondents said. 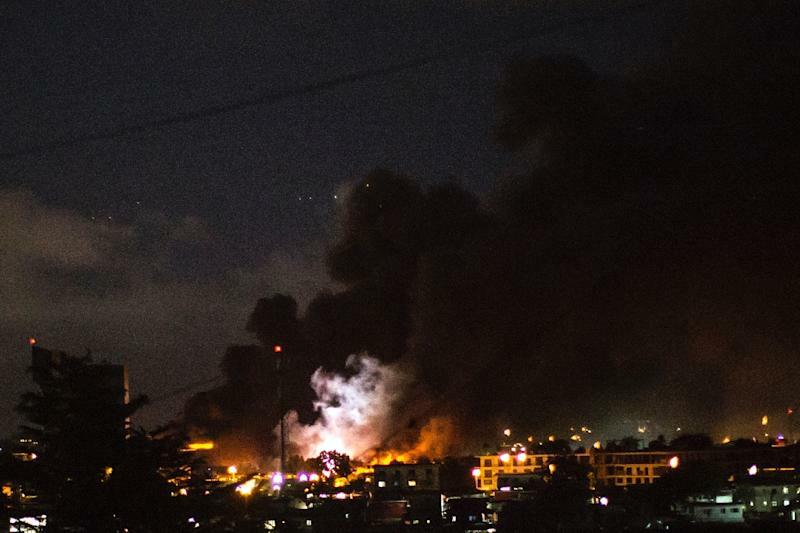 Fires were visible in other parts of Libreville and explosions were heard as protesters faced off against heavily armed security forces. "The whole building is catching fire," a man outside parliament who gave his name as Yannick told AFP. The parliament lies on the same road as the state TV headquarters, senate, town hall, oil ministry, several embassies and the French cultural centre. As soon as Bongo's victory in Saturday's poll was announced Wednesday, people took to the streets of the city's slums, chanting "Ali must go". As helicopters flew overhead and smoke rose above poorer neighbourhoods, soldiers, police and gendarmes stopped traffic on the main highway where protestors braved tear gas to set tyres alight. Protestors shouted, "Jean Ping president!" and "They stole the election." Ping, a half Chinese career diplomat has rejected the results, and before they were announced had declared it was he who won. There was also trouble Wednesday in the economic capital Port Gentil, which saw the worst of the violence that followed Bongo's 2009 election victory. That contested vote followed the death of Bongo's father, Omar Bongo, who ruled the oil-rich country for 41 years. Any appeal by Ping would likely focus on disputed results in one of the country's nine provinces -- the Haut-Ogooue, the heartland of Bongo's Teke ethnic group. In Saturday's vote, turnout was 59.46 percent nationwide but soared to 99.93 percent in Haut-Ogooue, where Bongo won 95.5 percent of votes. Opposition delegates in the electoral commission have vowed to fight for a recount. Ping, the European Union, the United States and former colonial power France have called for voting figures from each of Gabon's polling stations to be made public to ensure the credibility of overall result. 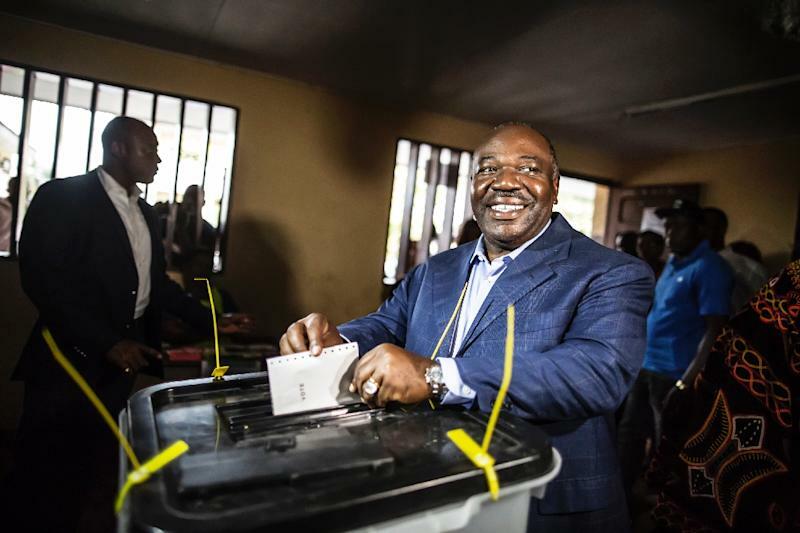 "This will help give the people of Gabon -- as well as the international community -- confidence the announced vote tallies are accurate," US State Department spokesman John Kirby said. In 2009, Bongo was declared winner of the election after his father's death. In the ensuing clashes several people were killed, buildings looted and the French consulate in the economic capital Port Gentil torched. EU observers, who were barred from the meeting of the electoral commission on Wednesday, said the vote on Saturday was "managed in a way that lacked transparency". Joining the EU in pressuring Bongo on Wednesday, the French foreign ministry called for the electoral commission to show "transparency and impartiality". "Only in this way can the credibility of the results be guaranteed," a spokesman for the French foreign ministry said on Wednesday. Gabon is a former French colony which has been hit by the global slump in the price of crude oil, its biggest export. One third of Gabon's population lives in poverty, despite the country boasting one of Africa's highest per capita incomes at $8,300 (7,400 euros) thanks to pumping 200,000 barrels of oil a day. Bongo, 57, campaigned under the slogan "Let's change together", playing up the roads and hospitals built during his first term and stressing the need to break with the bad old days of disappearing public funds and dodgy management of oil revenues. The campaign period was marked by months of bitter exchanges between the two camps, including accusations, and strenuous denials, that Bongo was born in Nigeria and therefore ineligible to run. Ping's own roots -- he is Sino-Gabonese -- served as ammunition for Bongo's camp, which has suggested he and his son are secretly serving Chinese interests.